There was no other place Ryan Poettker wanted to be than at his family’s business, Poettker Construction Co.
As a child he would often run away from his babysitter, his parents said, to head into the office. 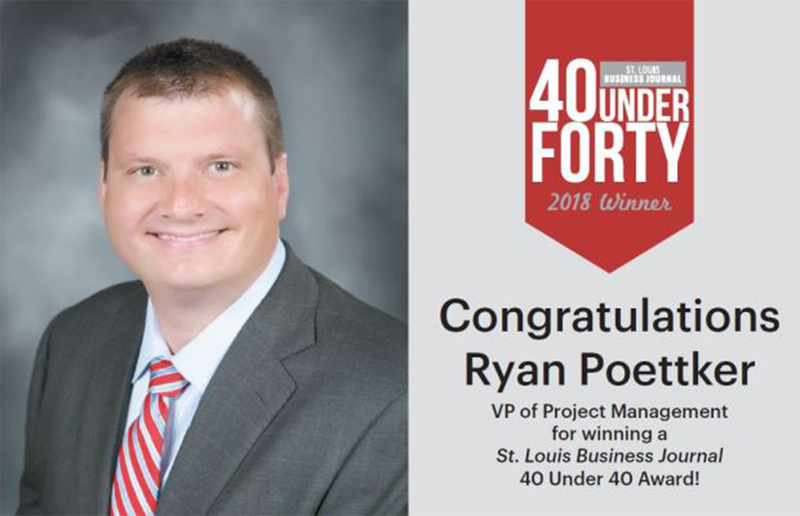 “I’ve always wanted this,” said Poettker, 37, who now serves as vice president of project management for the Breese, Illinois-based firm. Poettker has been in that role for 10 years, helping the family-owned company’s revenue grow 267 percent to $121 million over the same period. He’s helped add technology, too, including building information modeling to enhance construction capabilities, allowing the company to eliminate costly elevation clearance issues and scheduling delays, and implementing the cloud-based project management system Procore. He also helped to establish a corporate compliance team to manage the quality and safety that oversaw more than 900,000 man hours of work in 2017. Some of Poettker’s favorite projects include the more than $20 million McKendree Metro Rec Plex in O’Fallon, Illinois; the $9.5 million HSHS St. Joseph’s Hospital outpatient surgery addition in Breese; and the roughly $23 million Lincoln National Cemetery expansion in Joliet, Illinois. 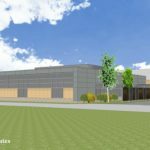 He is also serving as point person for Poettker Construction’s new 40,000-square-foot headquarters that features an additional 12,000 square feet for warehouse space. The new headquarters, located about a quarter-mile from the firm’s current location, is slated to be complete in the first quarter of 2019. Costs were not disclosed. “We’ve significantly outgrown our current (12,000-square-foot) facility,” Poettker said. Outside of work, Poettker is involved with Relay for Life (his wife, Jenna, is a cancer survivor) and is a board member at the Clinton County YMCA. He’s also hoping to get back involved with coaching youth football when his children, 4-year-old Jade and 2-year-old Dawson, are old enough. Best leadership advice? Build trust with your employees. Once you have trust, you get the truth. What’s the best part about your job? Seeing and helping our younger employees grow into leaders. What would you go back and tell your 20-year-old self? Be more involved in social activities. In college, I was pretty serious and wish I could have had more fun. 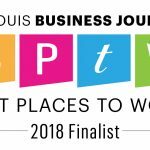 What’s one thing that everyone needs to do or try in St. Louis? Cardinals and Blues home games. If you have kids, the zoo and Grant’s Farm.